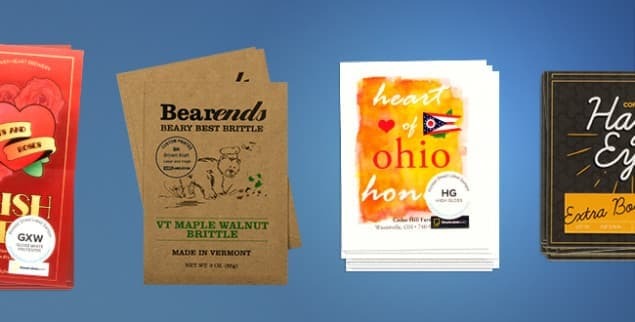 Individually cut-to-size printed labels are excellent for promotional stickers, giveaways, labeling jobs such as bottles, name tags, coffee bags, and so much more! Small to mid-run projects are ideal for this type of label. Cut-to-size labels are also great for bright colored printing and there is no additional cutting required since you receive them in the size that you need. Count on us to know that...Sometimes, a label is everything!